Save money with target workers compensation programs for Illinois employers. 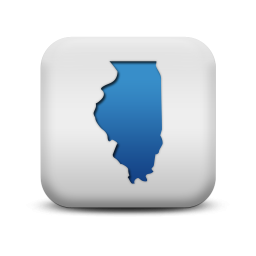 We've got great work comp programs available for Illinois business owners. Illinois is currently in our top 5 states for premium production in the U.S. Whether your located in cities such as Chicago, Springfield, or Aurora, chances are we've got affordable solutions for your coverage. Some of our top IL industries include home health care, assisted living facilities, restaurants, day care providers, contractors, and trucking companies. We also help may other industries with flexible payment plans and Pay As You Go workers comp coverage. Contact one of our Illinois workers comp Specialists today at 888-611-7467 to see if you qualify for a program. The state of Illinois requires that all employers doing business in the state have coverage. Even employers with a single part-time employee or only family members working for the business should have coverage. Companies who utilize independent contractors may also be legally liable for the coverage for any sub-contractors. We recommend that businesses require sub-contractors to provide proof of coverage by requesting a Certificate of Insurance. Illinois has made improvements the past few years with regard to the average cost of coverage in the state. Legislative reform passed over the past few years has made the state less litigious and helped to entice more insurance companies to begin offering more competitive rates in Illinois. As a national agency specializing in workers comp insurance, we've developed strong relationships with our insurance partners. Our internal agents understand how the underwriting process works and we work hard to help our customers find the very best prices on coverage. Let us help your business today. Give one of our workers compensation Specialists a call today at 888-611-7467 to learn about or workers compensation insurance programs in Illinois.